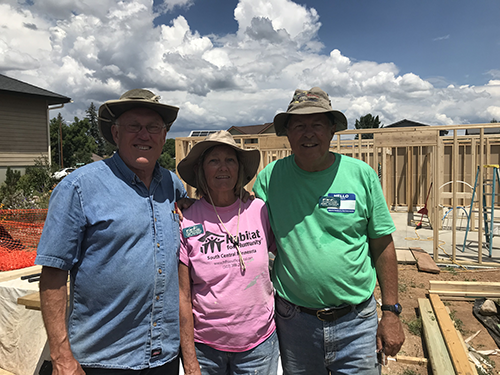 A special thanks to our extraordinary Mike Montgomery-Hammers Club Member- who came alongside us with the help of Lori & Jerry —Care-a-Vaneers..... to get our Build 2018 up and running! Who can join the RV Care-A-Vanners? Anyone with a self-contained recreational vehicle with holding tanks that can be dumped in compliance with local, state and federal law. A motor home, fifth wheel or travel trailer can participate. We also work with special interest RV groups such as Family Motor Coach Association Chapter: Habitat for Humanity, RV manufacturer groups and travel clubs.